YEREVAN. – Armenia’s Prime Minister Nikol Pashinyan on Thursday addressed the Parliamentary Assembly of the Council of Europe (PACE) spring session in Strasbourg, France, and responded to the questions by the Assembly members, Past (Fact) newspaper reported. 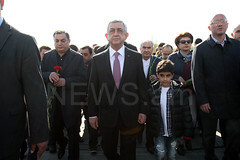 “Georgia’s Prime Minister Mamuka Bakhtadze was in Strasbourg one day before Pashinyan. 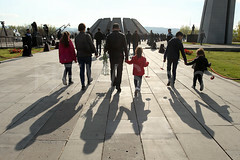 According to the newspaper’s information, the Georgian side has done everything so that Bakhtadze’s reception is presented warmer and more impressively than that of Pashinyan. [But] in reality, it is hard to find any particular difference. “It is noteworthy that the work schedules of the prime ministers of Georgia and Armenia coincide yet again. (…) it is a fact that in such cases, as a rule, the respective structures of the countries take such phenomena into account for the objective of coming out the winner from the involuntary ‘competition,’ no matter how that circumstance is not a priority, to put it mildly, in case of such visits,” Past wrote.